Airs locally Friday 8 - 9 p.m.
"Magnetic North for new music lovers points to Bowling Green, Ohio." 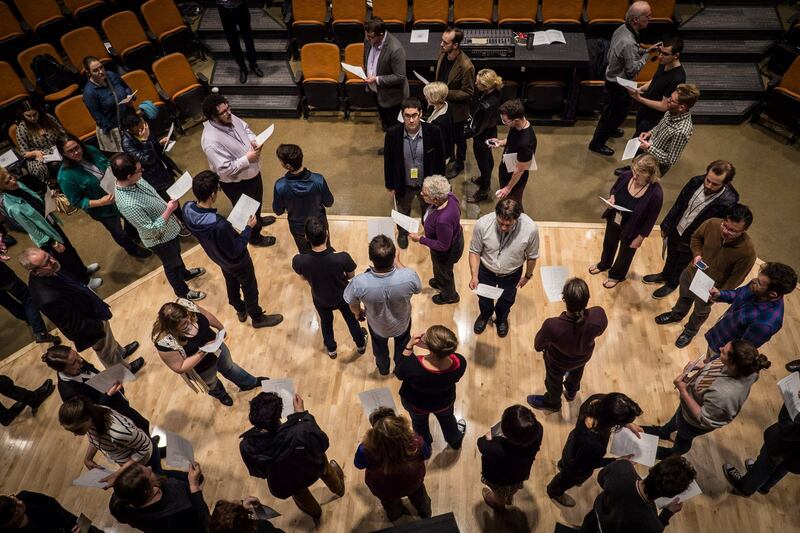 For nearly four decades, hundreds of composers, performers, and lovers of contemporary music have descended annually on a small college town in northwest Ohio for a singular event: the New Music Festival at Bowling Green State University (BGSU). 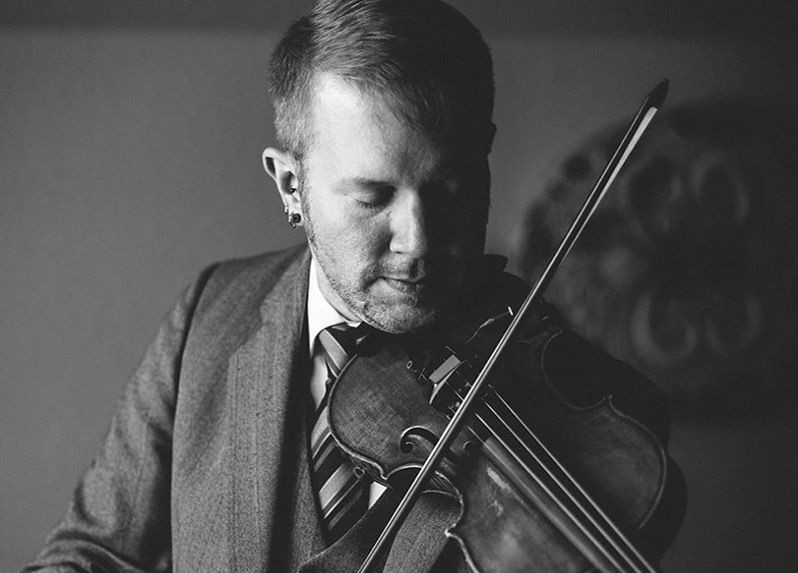 Home to the MidAmerican Center for Contemporary Music, BGSU also sponsors a multi-venue concert series called Music at the Forefront, which shines a spotlight on new and exciting young musicians. Produced by WGTE Public Media and hosted by Brad Cresswell, Living American Composers: New Music from Bowling Green features live concert recordings from the New Music Festival and Music at the Forefront, alongside the commercial discography of related composers, alumni, and BGSU faculty. Designed with the adventurous listener in mind, the program features audience-friendly works that are introduced by their respective composers and performers. Our upcoming season (January 2019) features an ongoing subseries called Living Women Composers, which is curated and hosted by Pulitzer Prize and Grammy-winning composer (and BGSU alumna) Jennifer Higdon, who offers short profiles of her female composer colleagues. Recent episodes (see below) offer in-depth profiles of multi Grammy Award-winning composer Michael Daugherty; piano powerhouse Kathleen Supové; cutting edge vocal collective Roomful of Teeth, and visionary Chicago-based ensemble Spektral Quartet. Also heard are concert performances from the 2017 New Music Gathering at Bowling Green State University, including an entire program of new commissions from the acclaimed New Music Ensemble at Grand Valley State University. Audio content for New Music from Bowling Green is provided in part by our digital partner, New Sounds from New York Public Radio. You can discover a world of hand-crafted, genre-free music with New Sounds' listener-supported 24/7 online radio station. Tune in today at newsounds.org. 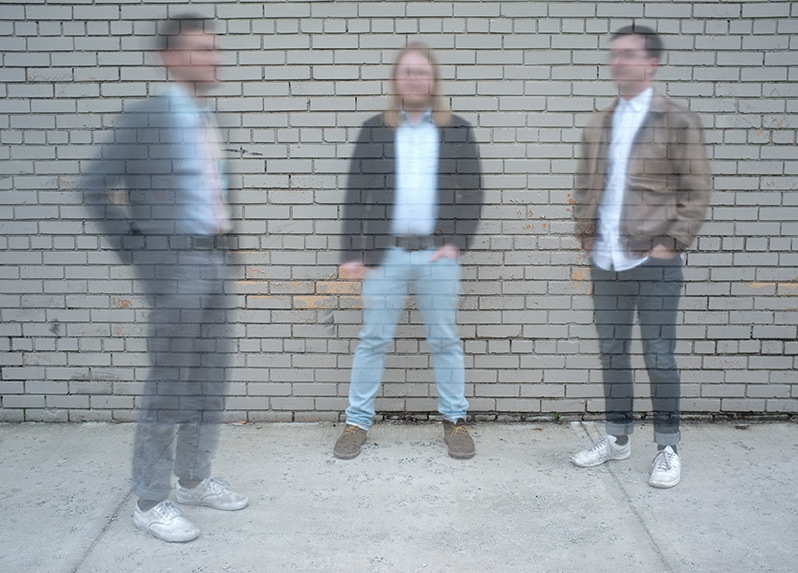 New Music from Bowling Green is sponsored by the College of Musical Arts at Bowling Green State University, produced by WGTE Public Media and distributed internationally through the Public Radio Exchange (PRX). Since launching in October 2013, the program has been heard by nearly two million listeners on more than 160 radio stations worldwide. The second half of a “live in concert” version of the show hosted by Brad Cresswell at Bowling Green State University. Also, composer and BGSU grad Jennifer Higdon profiles composer icon Joan Tower. Audio Clip: Jennifer Higdon introduces music by Joan Tower. The first part of a “live in concert” version of the show hosted by Brad Cresswell at Bowling Green State University. 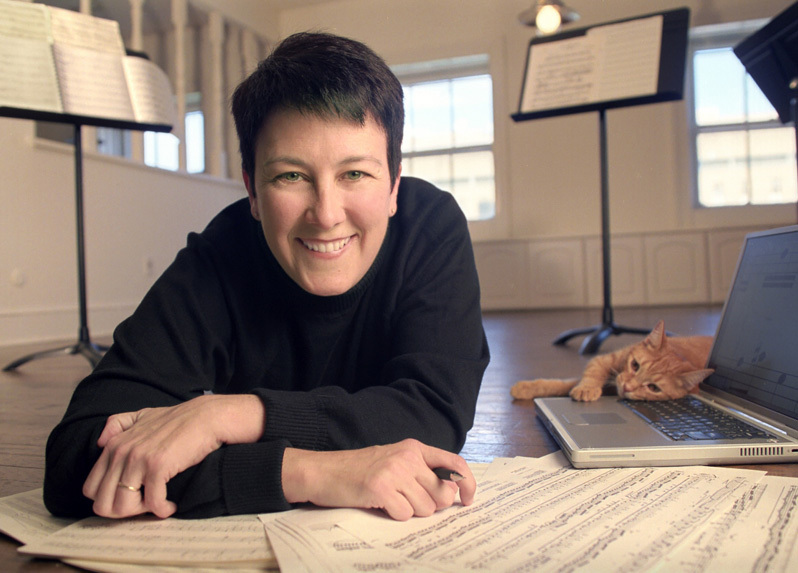 Also, composer and BGSU grad Jennifer Higdon profiles fellow composer Cindy McTee. Audio Clip: Jennifer Higdon introduces music by Cindy McTee. 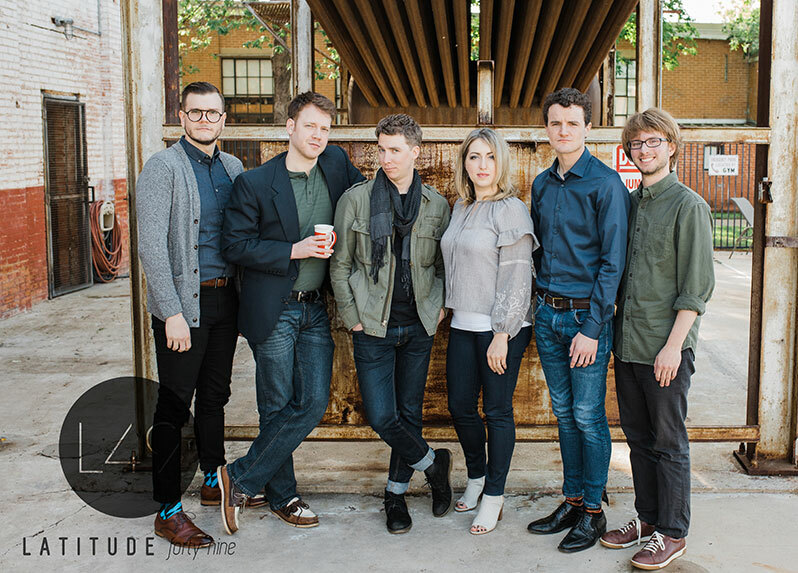 Inspired by their 2018 appearance at Bowling Green State University, we spend the hour with the Austin-based Grammy® award-winning choral ensemble Conspirare. Also, Grammy® and Pulitzer Prize-winning composer Jennifer Higdon introduces music by fellow Pulitzer winner Julia Wolfe. 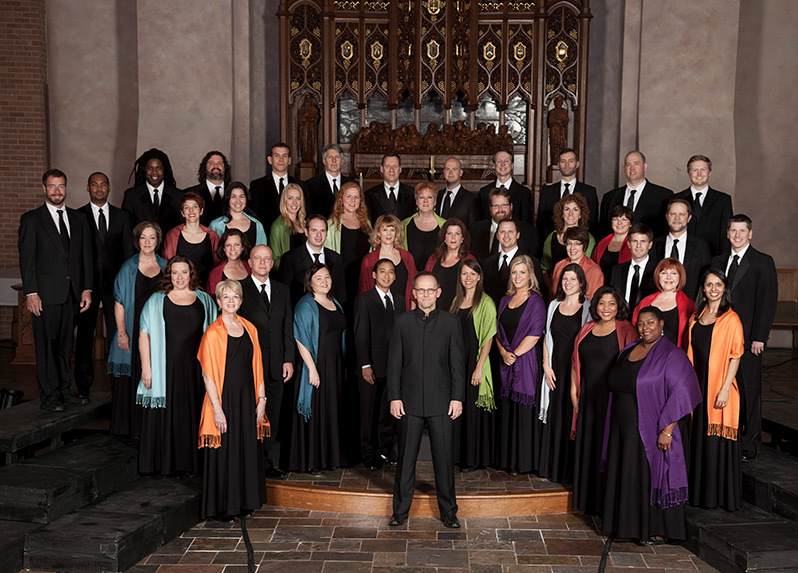 Audio Clip: Craig Hella Johnson talks about the use and influence of Bach in Considering Matthew Shepard. 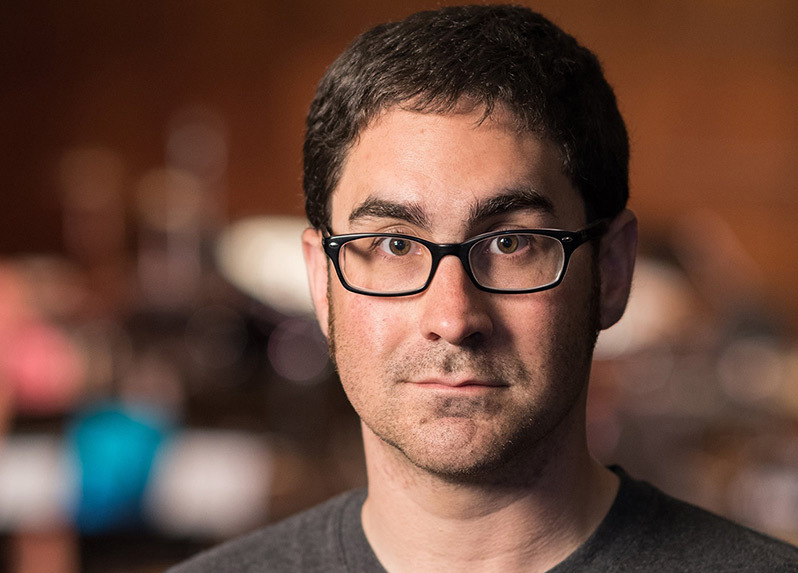 We pay tribute to one of the most compelling voices in new music, Matt Marks, who passed away unexpectedly in 2018 at age 38. 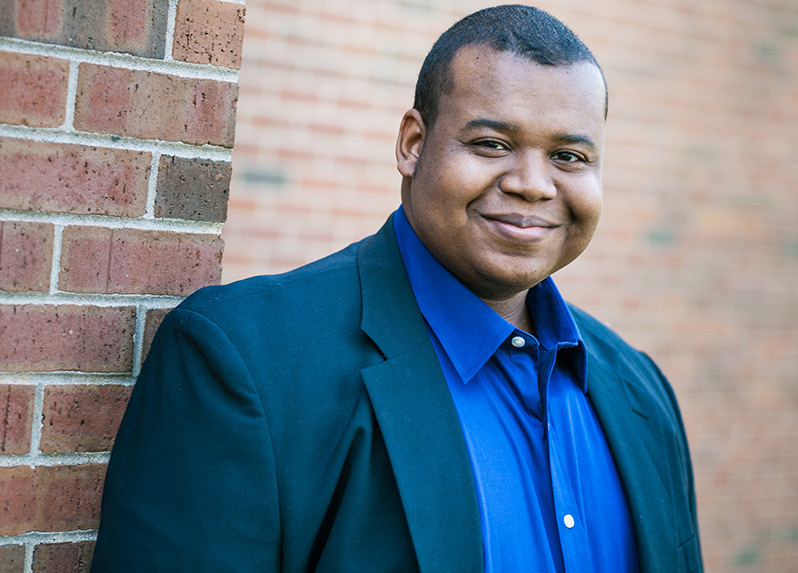 Joining us for this episode are three people who knew Matt well: conductor Alan Pierson; singer Mellissa Hughes, and pianist Kathleen Supové. Audio Clip: Alan Pierson talks about his early memories of Matt Marks in Alarm Will Sound. We continue our live concert performance from Latitude 49 at Bowling Green State University. Also, Jennifer Higdon offer her latest Living Women Composers profile: Missy Mazzoli. Audio Clip: Jennifer Higdon introduces music by Missy Mazzoli. Dynamic new music ensemble Latitude 49 performs in concert at Bowling Green State University. Also, music by Roshanne Etezady, introduced by her composing colleague Jennifer Higdon. Audio Clip: Sarah Kirkland Snider talks about the New Music Festival at BGSU. Acclaimed contemporary pianist and BGSU grad Karl Larson introduces selections from his discography. Also, Jennifer Higdon offers a Living Women Composers profile of Vivian Fung. 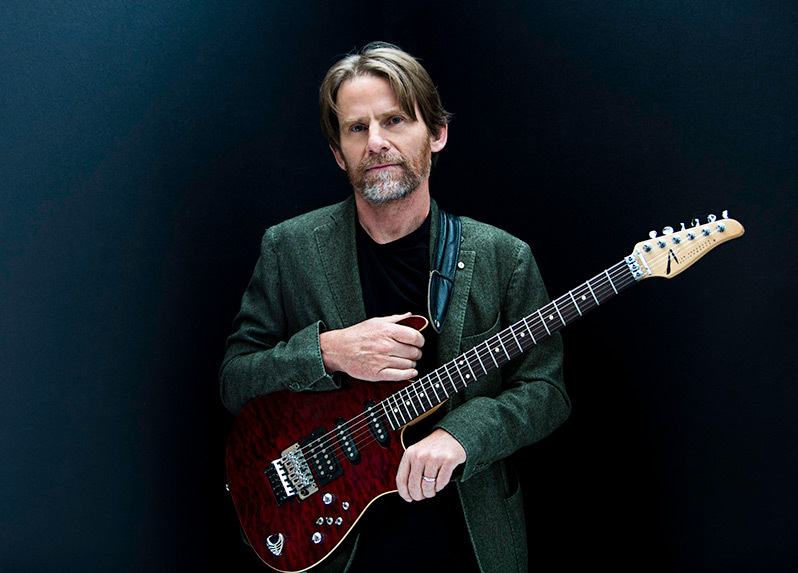 Audio Clip: Karl Larson talks about coming up with the name "Bearthoven." 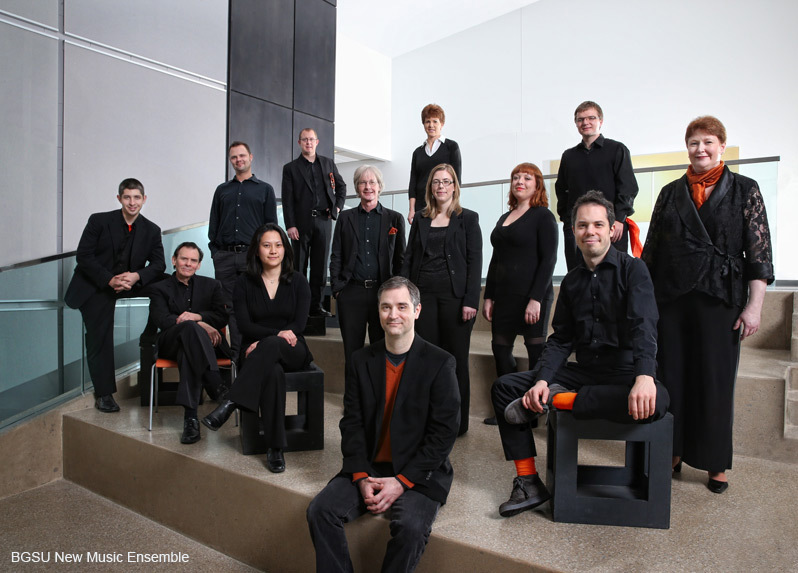 We sample the discography of composers and performers with BGSU connections. 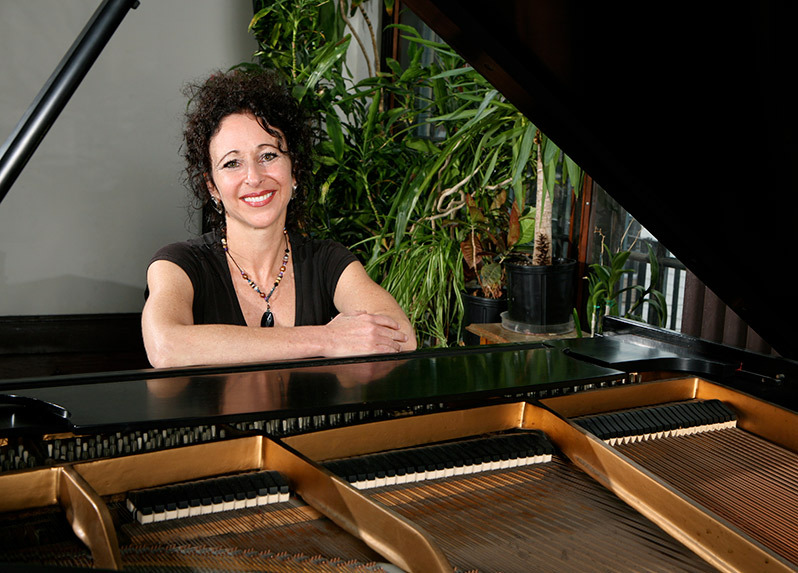 Also, Jennifer Higdon profiles her composing colleague Stefania de Kenessey in Living Women Composers. Audio Clip: composer Mikel Kuehn talks about Undercurrents. 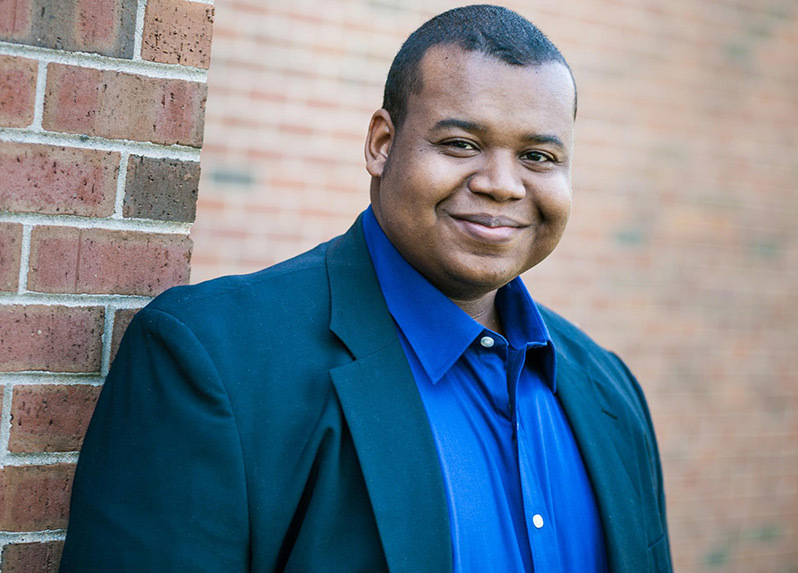 Composer and BGSU grad Evan Williams introduces his harpsichord concerto, Dead White Man Music, which reflects on the state of diversity in classical music. Also, up next in Jennifer Higdon’s Living Women Composers series: Meredith Monk. 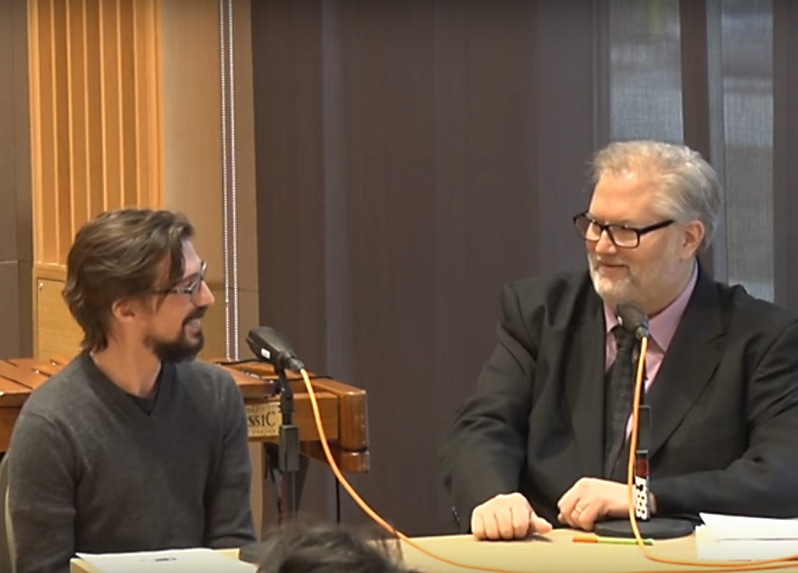 Audio Clip: Evan Williams discusses Dead White Man Music. We sample new and recent recordings from artists with Bowling Green connections. 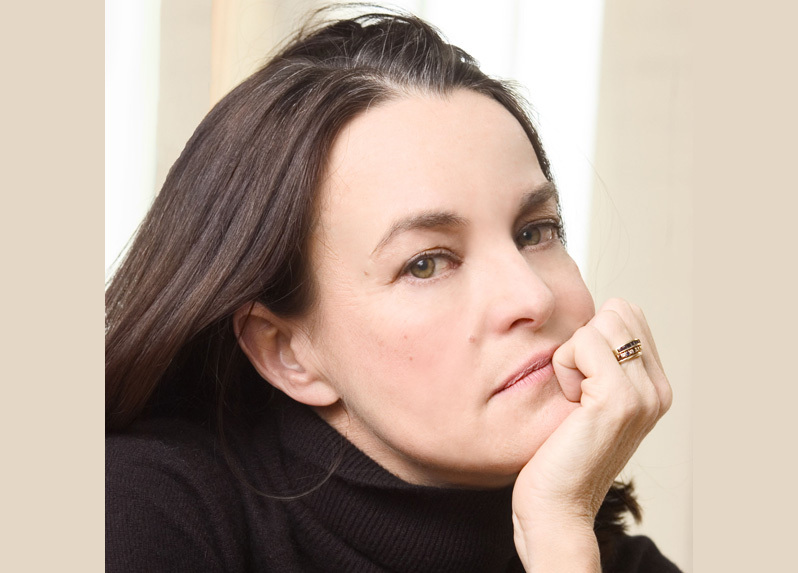 Also, Jennifer Higdon’s Living Women Composers feature profiles Gabriella Smith. Audio Clip: Composer Laura Steenberge introduces The Four Winds. We hear live performances from both the New Music Festival and Music at the Forefront concert series at Bowling Green State University. Also, Jennifer Higdon presents music by her composing colleague Gabriela Lena Frank. Audio Clip: Composer Kevin Puts talks about And Legions Will Rise (extended interview). Grammy® and Pulitzer Prize-winning composer Jennifer Higdon co-hosts this episode, introducing her music and profiling her composing colleague Caroline Shaw. Audio Clip: Jennifer Higdon introduces Caroline Shaw's Sarabande. Grammy® and Pulitzer Prize-winning composer Jennifer Higdon co-hosts the season six opener, introducing her music and profiling her composing colleague Maria Schneider. Audio Clip: Jennifer Higdon talks about blue cathedral. 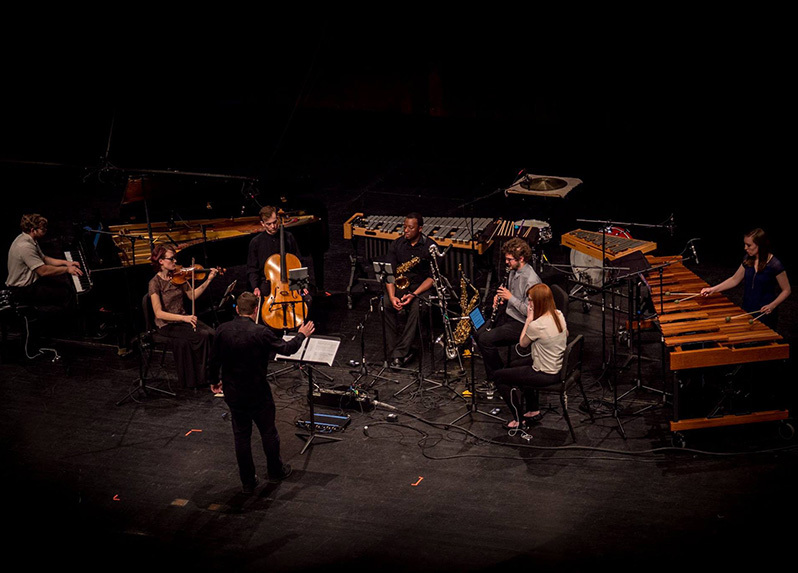 In our final episode for season five, we hear a concert performance from the Grand Valley State University New Music Ensemble, made up entirely of works commissioned by the group. Part of the 2017 New Music Gathering at Bowling Green State University. We hear concert performances from the contemporary music world’s premiere conference, the annual New Music Gathering, which in 2017 was held at Bowling Green State University. 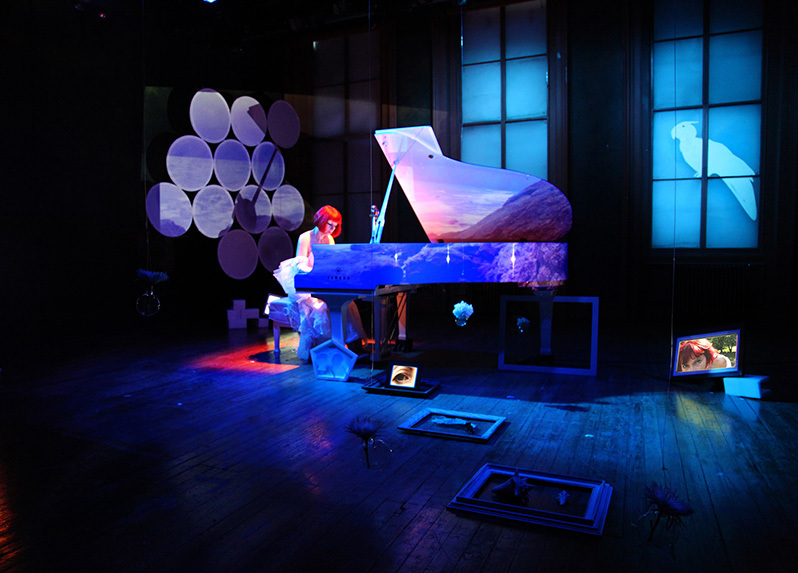 We visit with action-packed performance artist/keyboardist (and force behind The Exploding Piano) Kathleen Supové, with some of her best performances – including a concert appearance at Bowling Green State University. Listen to the entire episode (posted with permission). 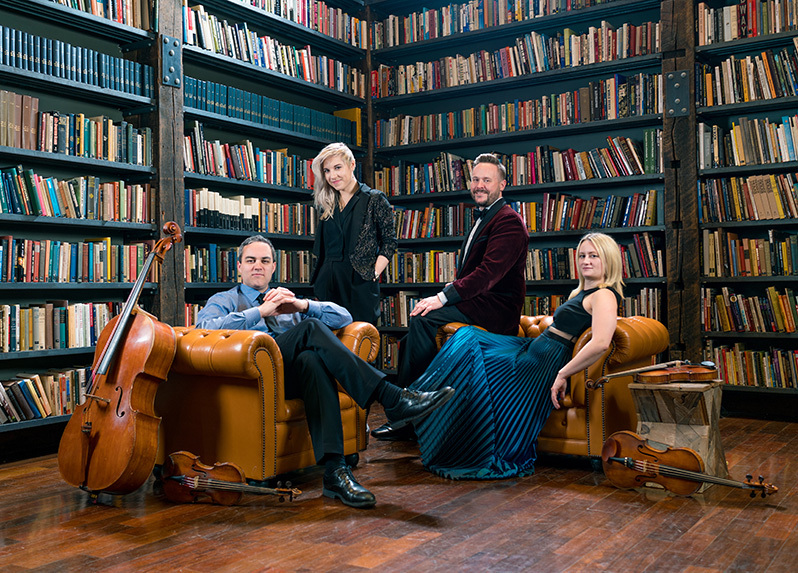 We spend the hour with the Chicago-based visionary ensemble Spektral Quartet and some of the works created just for them, including selections from a recent Music at the Forefront concert at Bowling Green State University. Audio Extra: Listen to the entire episode (posted with permission). 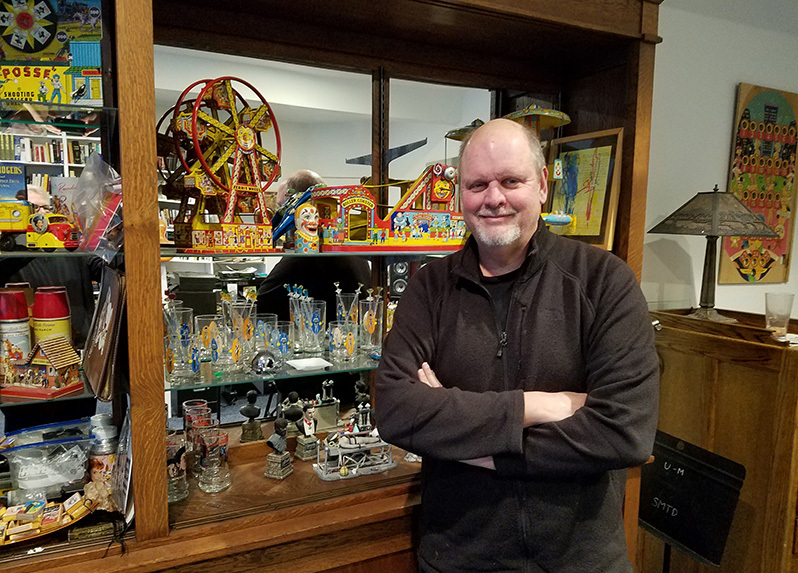 Multi Grammy-winning composer Michael Daugherty continues the backstage tour of his musical career, with more stories behind some of his best-known works. Labyrinth of Love: Oh come to me in dreams, my love! Audio Extra: Michael Daugherty entertaining at the piano. 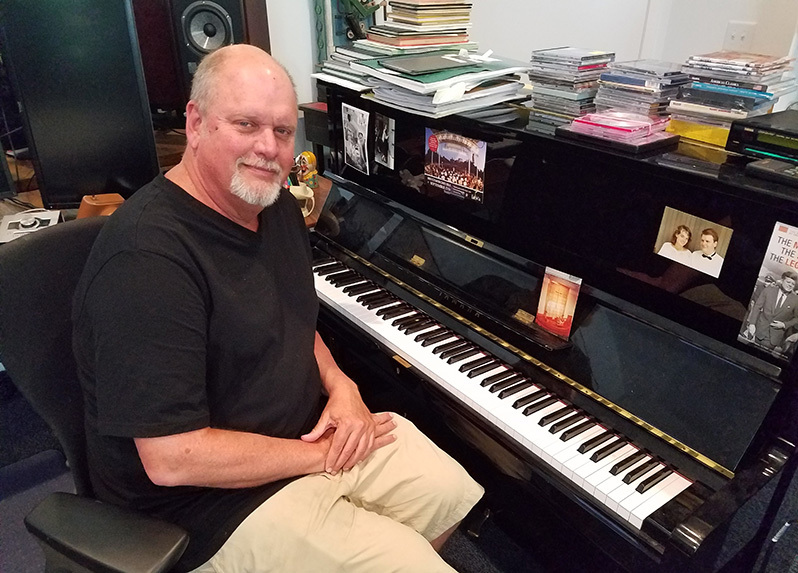 Multi Grammy-winning composer Michael Daugherty takes us on a backstage tour of his musical career, providing the stories behind some of his best-known works. Audio Extra: Michael Daugherty talks about how growing up in Iowa influenced his music, and introduces Niagara Falls. 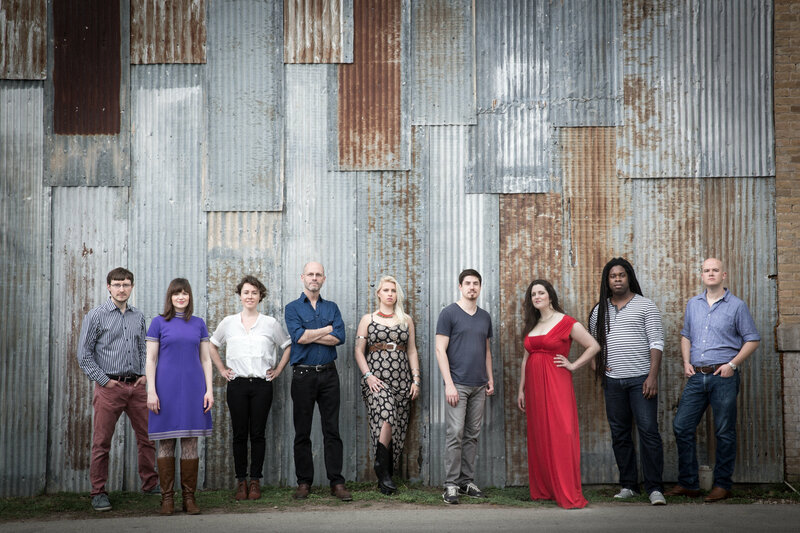 We hear a program inspired by cutting-edge vocal ensemble Roomful of Teeth’s 2017 residency at Bowling Green State University, introduced by RoT founder Brad Wells and Pulitzer Prize-winning composer Caroline Shaw. Audio Extra: Brad Wells on RoT and Otherwise. 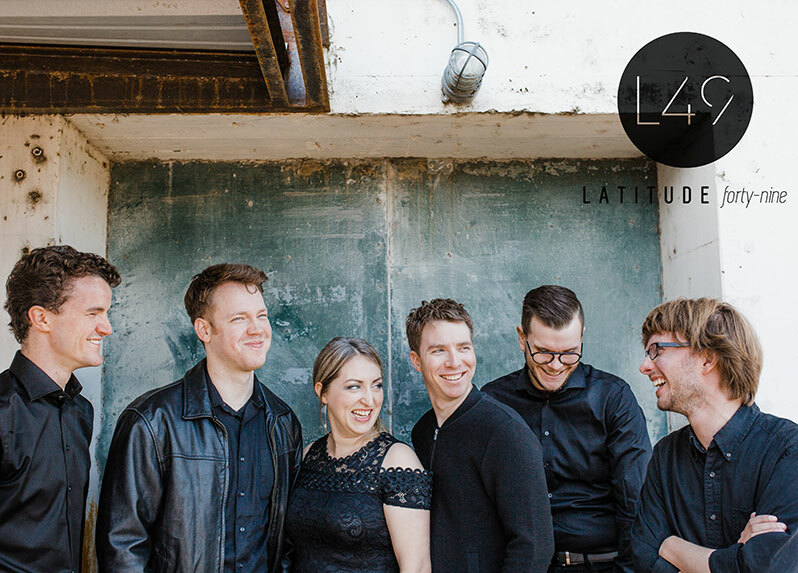 We sample recent and upcoming albums with Bowling Green connections, including the latest from the Quince Contemporary Vocal Ensemble. Also, the final installment in Jennifer Higdon’s 6-part subseries, Living Women Composers. Audio Extra: Cara Haxo introduces Three Erasures. We revisit performances from season one of NMBG with fresh introductions by their respective composers. Also, Jennifer Higdon presents music by Andrea Clearfield as part of her subseries Living Women Composers. Audio Extra: Jennifer Higdon introduces music by Andrea Clearfield. We revisit performances from season one of NMBG with fresh introductions by their respective composers. Also, Jennifer Higdon pays tribute to Joan Tower in her ongoing subseries Living Women Composers. Audio Extra: Jennifer Higdon introduces music by Joan Tower. 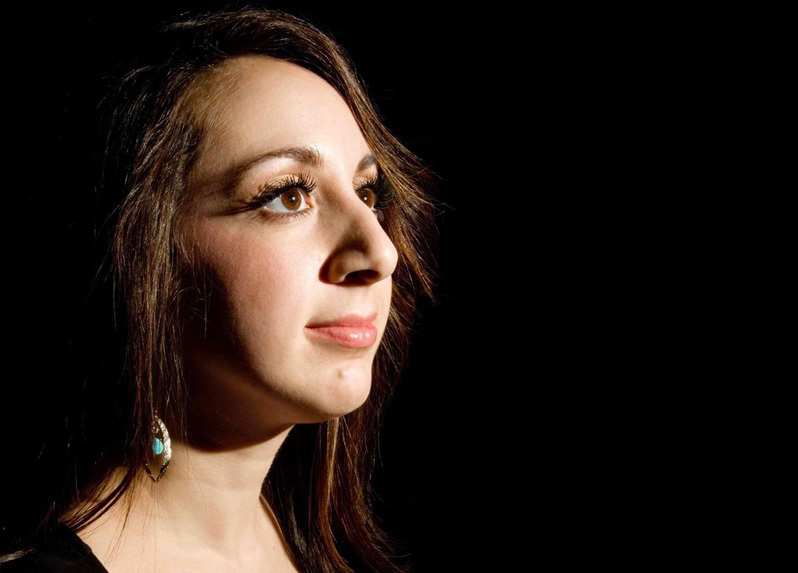 We hear concert performances from the 2016 New Music Festival at Bowling Green State University, including an excerpt from Mary Kouyoumdjian's powerful "Children of Conflict" series. 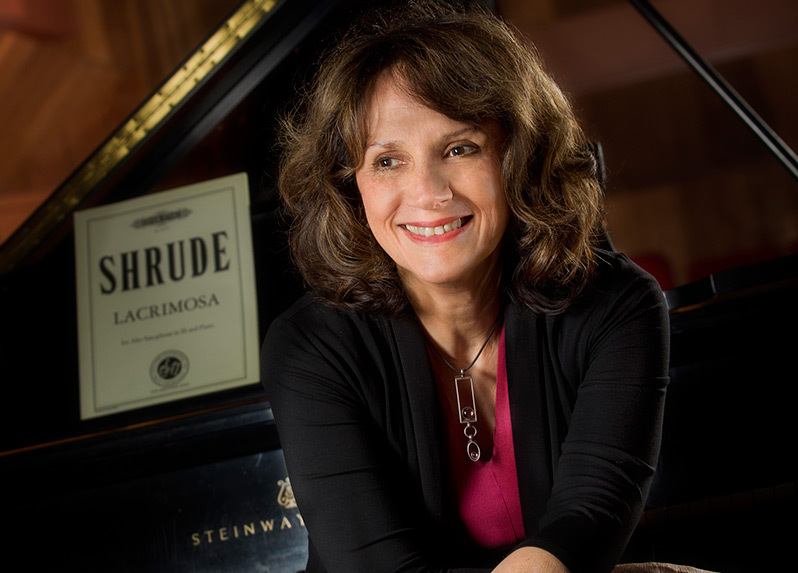 Also, Jennifer Higdon profiles the music of Marilyn Shrude in the next installment of her subseries Living Women Composers. Audio Extra: Mary Kouyoumdjian introduces A Boy and a Makeshift Toy. 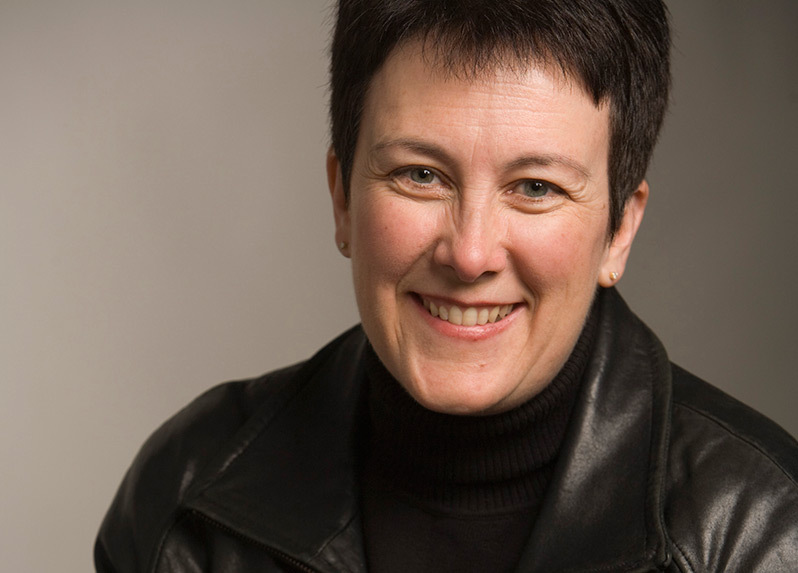 Composer and BGSU Alumna Jennifer Higdon co-hosts this episode, which features her own works plus the second installment in her six-part subseries Living Women Composers with a profile of Libby Larsen. Audio Extra: Jennifer Higdon introduces Four on the Floor by Libby Larsen. 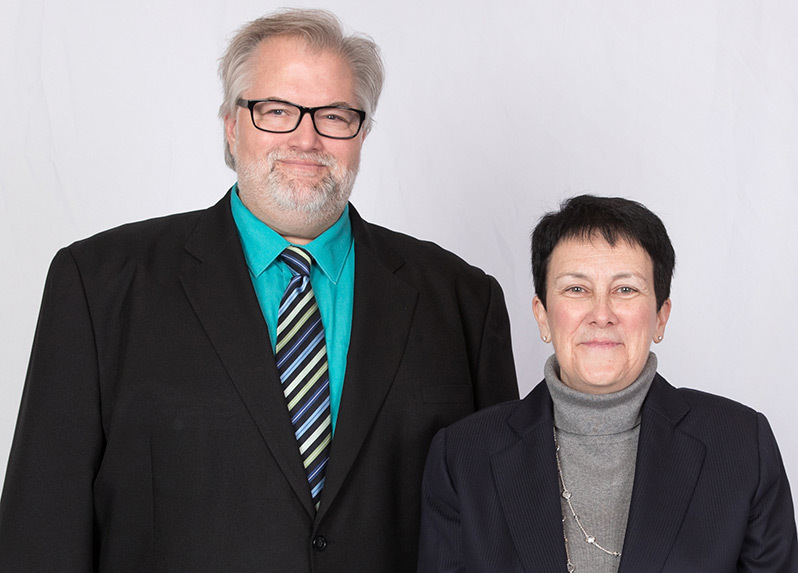 We open season five with composer and BGSU Alumna Jennifer Higdon, who co-hosts this episode, introducing her own works plus the first installment in her six-part subseries Living Women Composers. Audio Extra: Jennifer Higdon on how to interest the mainstream classical audience in contemporary music. 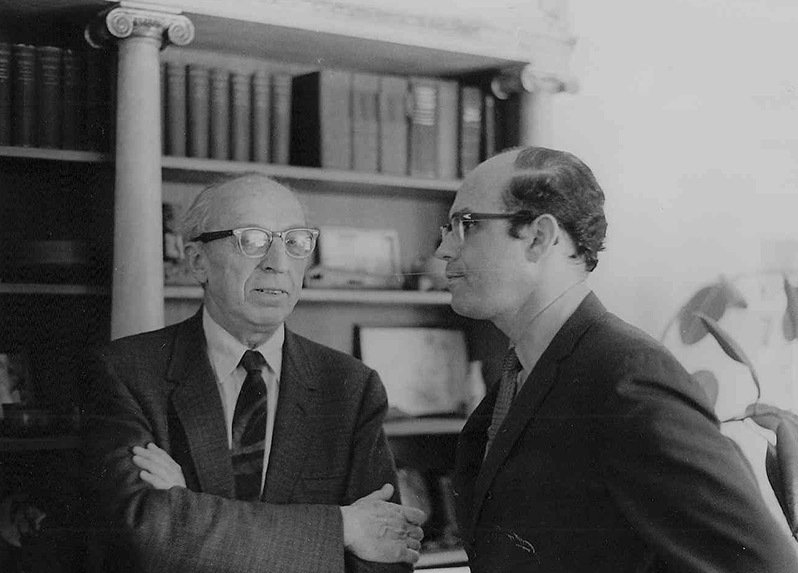 We conclude the fourth season of NMFBG with the second of our Composer's Choice episodes from veteran composer Samuel Adler, featuring music by two of his former students: Kevin Puts and Christopher Theofanidis. 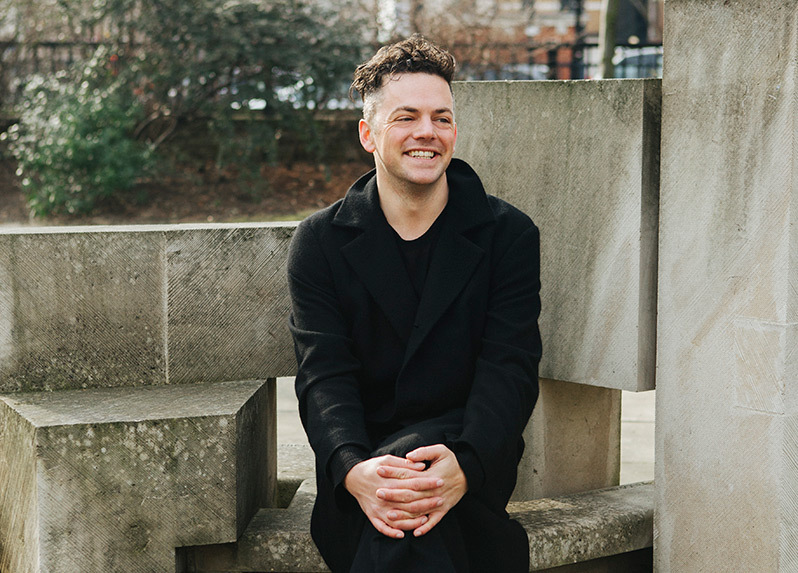 Audio Extra: Sam Adler on contemporary classical music, then and now. 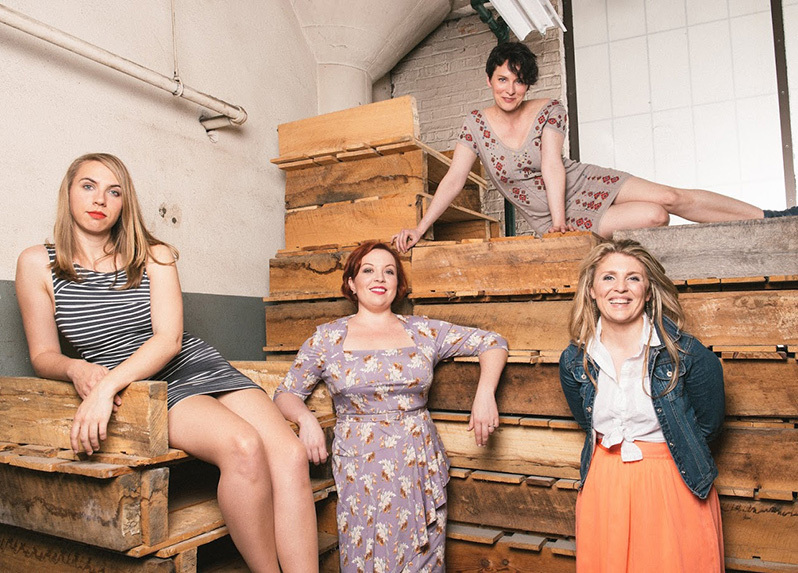 We spend the hour with the Quince Contemporary Vocal Ensemble as they introduce works from their latest recording, Hushers. Audio: Listen to the entire episode (posted with permission). Veteran composer and educator Samuel Adler introduces music by his former composition students Kevin Puts and Barbara Harbach. Audio Teaser: Sam Adler introduces Kevin Puts, who introduces his own Symphony No. 2. 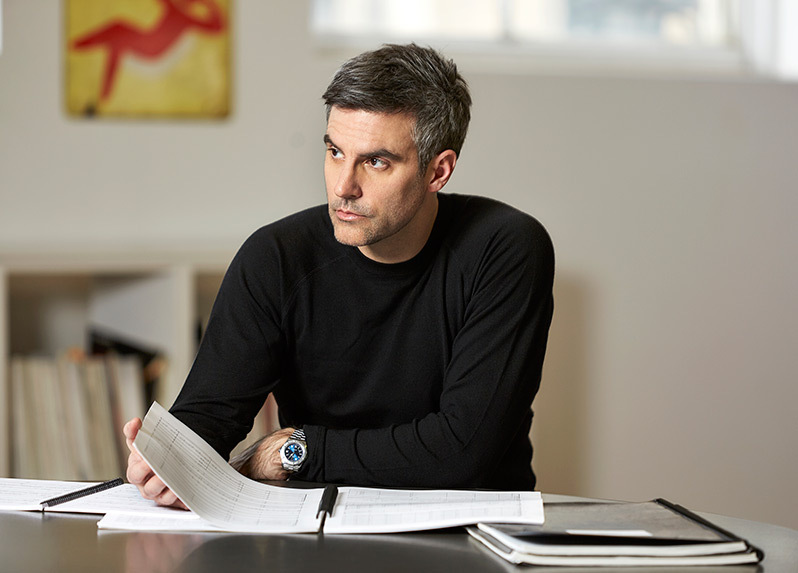 More contemporary recordings are introduced by their respective composers, with contributions from Nico Muhly and Nadia Sirota; Jennifer Higdon, and Avner Dorman. Audio Teaser: Opening segment with Nadia Sirota and Jennifer Higdon. 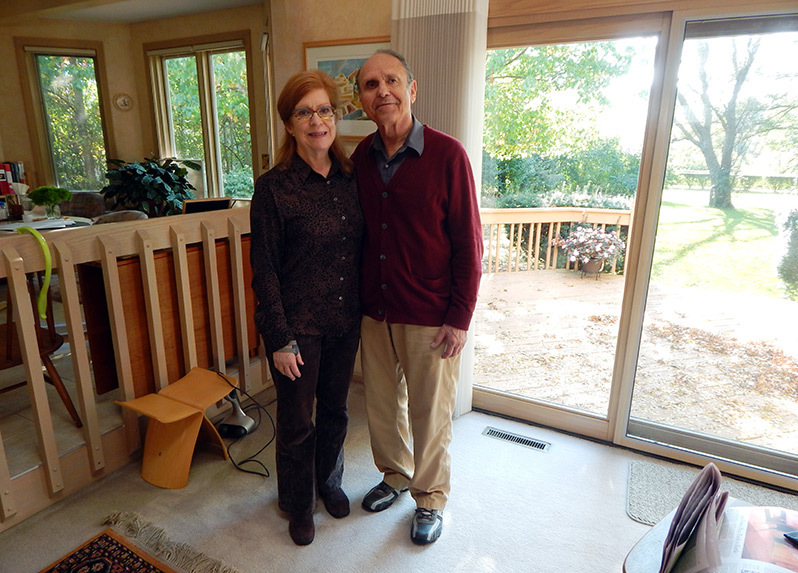 Audio Teaser: Opening and Marilyn Shrude introduces Messiaen. 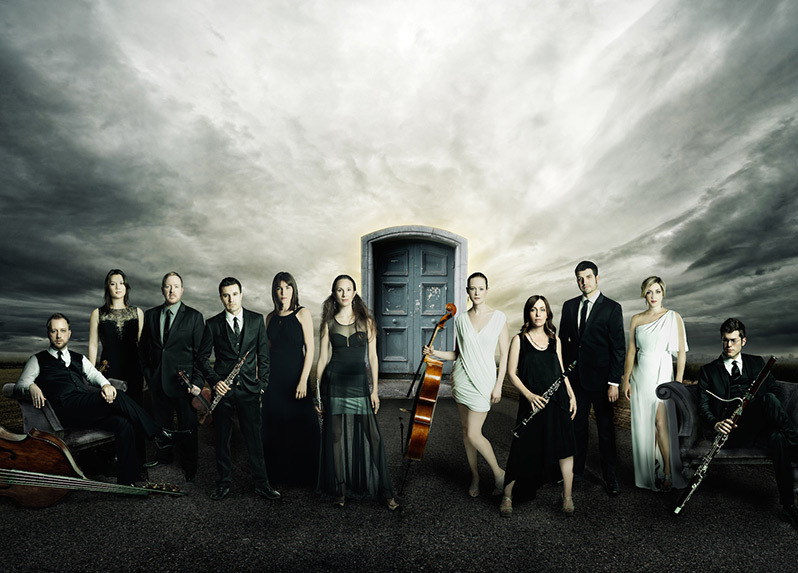 Composers Stacy Garrop, Jennifer Higdon, and Dan Visconti join us for a “live in concert” performance at Bowling Green State University, featuring one of the top groups on the modern music scene, the Chicago-based Fifth House Ensemble. Audio Teaser: Dan Visconti introduces Low Country Haze. 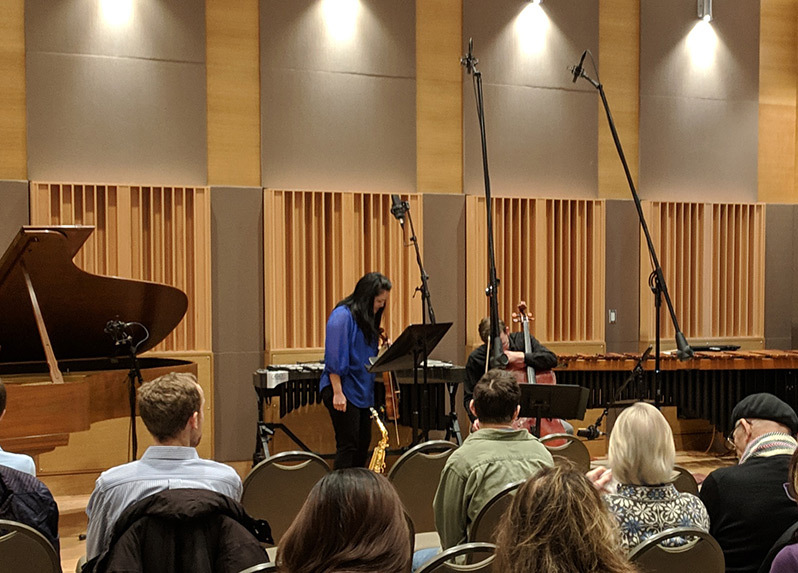 Composers and performers with BGSU connections join us to introduce their own recordings, with contributions from Nathan Davis, Missy Mazzoli, Evan Williams, David Lang, and Mark Bunce. 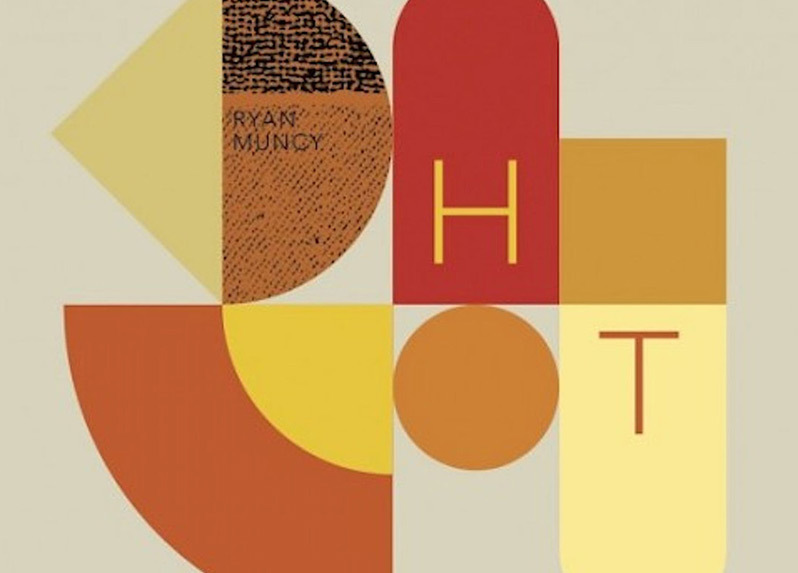 Audio Teaser: Evan Williams talks about Heavy. 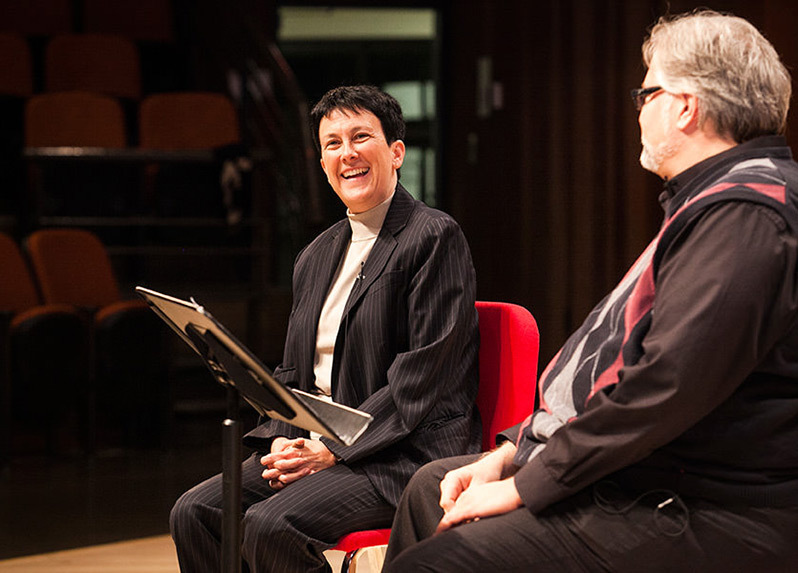 Composer and BGSU alumna Jennifer Higdon shares more of her favorite works by her colleagues Anna Clyne, Dan Visconti, and Kevin Puts. Audio Teaser: Jennifer Higdon introduces music by Kevin Puts. We spend an hour with visionary pianist and Music at the Forefront guest Vicky Chow, who takes us through her latest recording and performance projects. 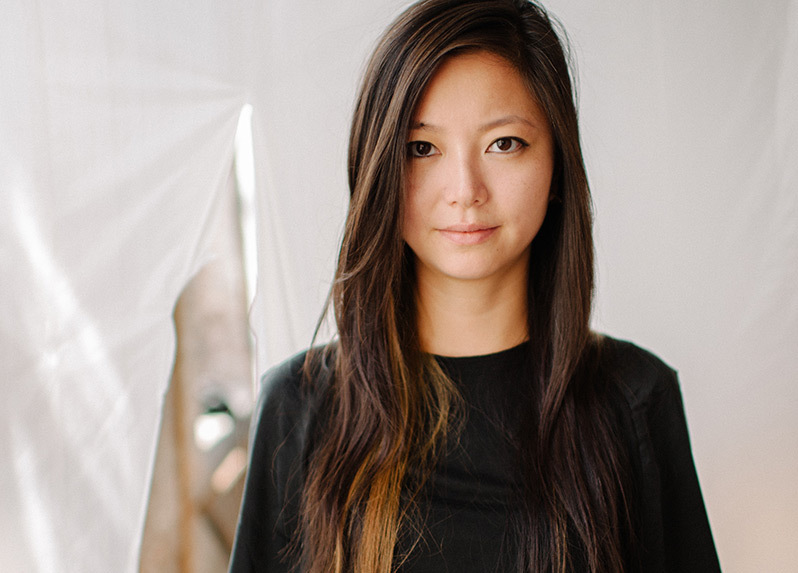 Audio Teaser: Vicky Chow on her "dark side" (background music: Daniel Wohl, Limbs). Composer and BGSU alumna Jennifer Higdon shares favorite works by her colleagues in a program which pays tribute to one of her former teachers, longtime BGSU band director Mark Kelly. Audio Teaser: Jennifer Higdon introduces Schwantner's From a Dark Millennium. 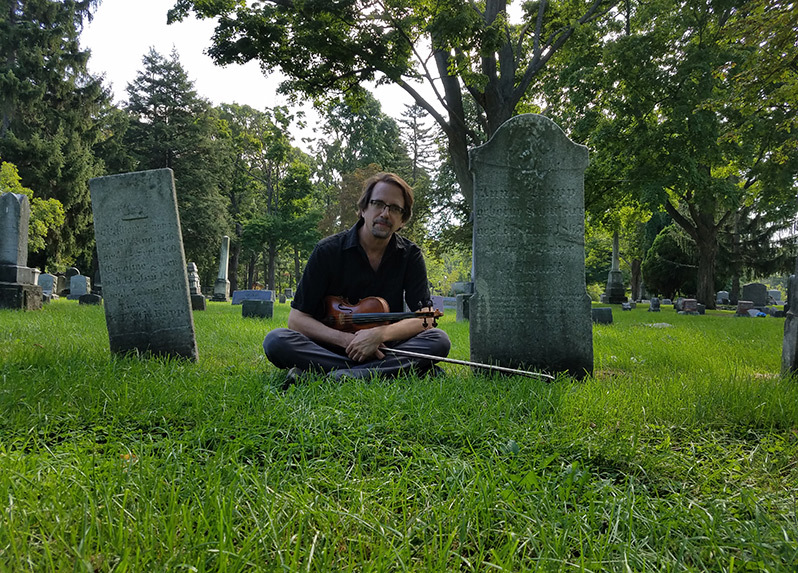 University of Michigan composer and BGSU alumnus Evan Chambers takes us a personal tour of his extraordinary cantata "The Old Burying Ground" – a setting of simple yet powerful texts taken from old epitaphs, which are paired with modern poems. 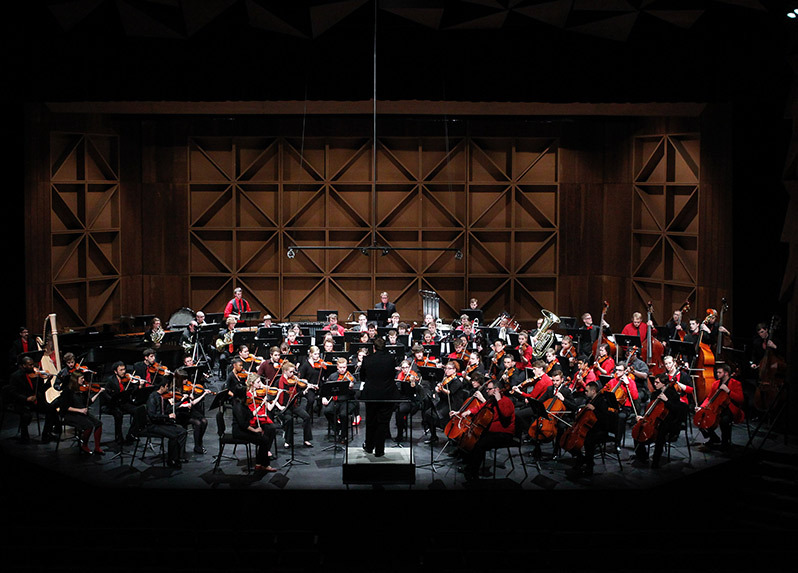 We hear "live in concert" performances from the 36th annual New Music Festival at Bowling Green State University. Audio Teaser: Carolina Heredia and Déjate Caer. 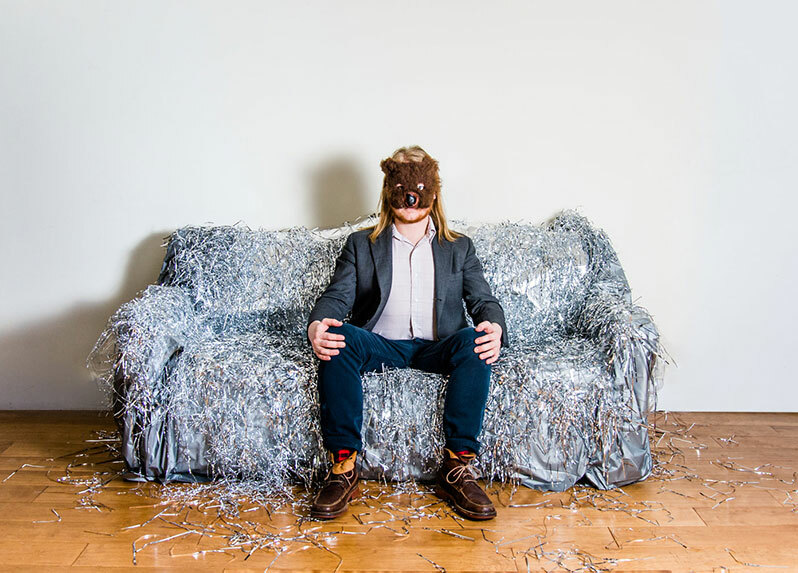 We open season four by spending the hour with composer, singer, and multi-instrumentalist Caleb Burhans as he shares his music. Audio Teaser: Caleb Burhans introduction.